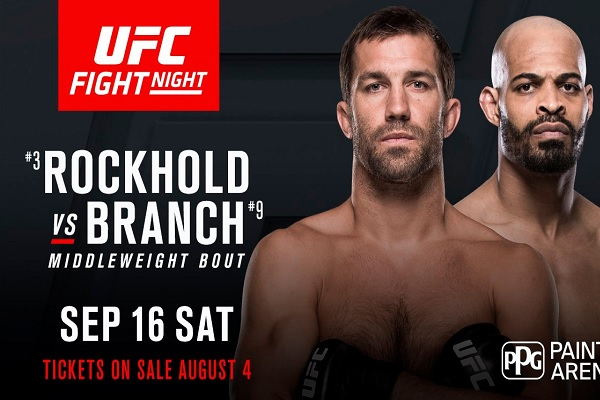 UFC returns to Pittsburg city after a long hiatus of nineteen months, with a main event between former middleweight champion Luke Rockhold and David Branch. 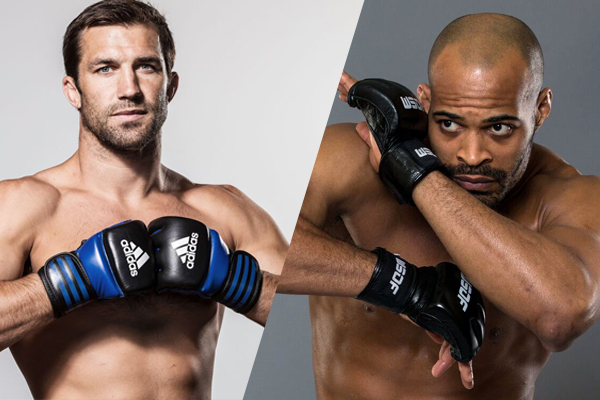 Luke Rockhold makes his return after 15 months of inactivity, the last time he stepped in he got knocked out and lost the title belt to Michael Bisping. Unable to get a rematch, side lined due to multiple injuries as the rest of the division went to war, Luke Rockhold had no other option but to take a lesser named opponent for his return fight. While Branch may have been two weight divisions champion in other organizations in terms of his octagon experience he is far behind the AKA product. This is also Branch’s second stint in the UFC. During his first run, he made a 2-2 record and was released after four fights. In his return, just after a single fight, Branch has been put to test against the former champion. If he manages to defeat Luke, then he’s in line for some big-name fights and a probable future title run. For Luke, it’s a warm up fight to get rid of the octagon rust and with a win he can call out the winner Bisping vs. George for his title shot. 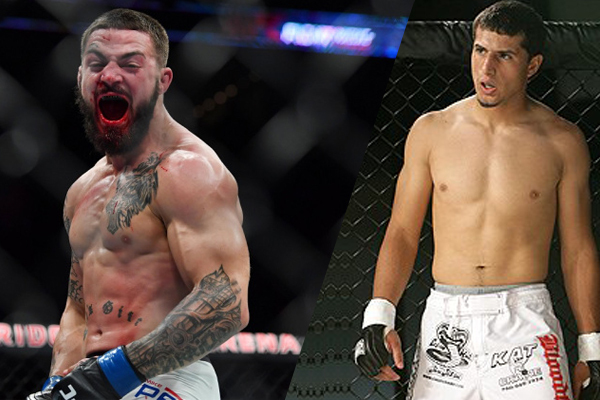 Two hard hitters Thiago Alves and Mike Perry were set to clash in the co-main event, but Alves had to pull out as he was stranded in Florida following Hurricane Irma. 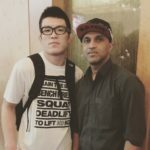 With no opponent confirmed Perry was hoping for a replacement confirmation and on just three days’ notice gets a new opponent in Alex Reyes who makes his UFC debut. Alex’s resume is filled with only submissions and TKO victories in lesser known organizations. But against a hard-hitting KO artist like Perry his skills will be put to test. 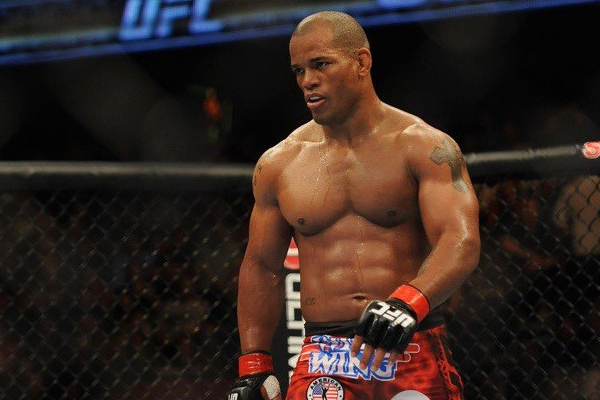 Hector Lombard’s entrance into the UFC was much anticipated as the former Bellator champion was expected to bulldoze his way through the middleweight division. He now stands with his back against the cage with three losses in a row. Out of his nine appearances in the last five years, he has just three wins and another loss from a lesser known Anthony Smith will ruin his dreams of climbing up the division. Lombard needs to finish this fight in a spectacular fashion and get fight of the night bonus that could see few more fights over the next year. If Anthony Smith manages to defeat Lombard and it’s a BIG IF, then this win would add a big name to his resume. 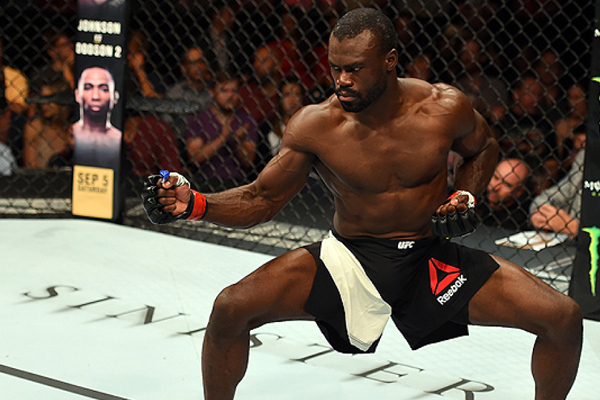 Another middleweight who faces a comparable situation like Lombard is Uriah Hall, who is also on a three-fight losing skid. Hall who was once considered the most feared and upcoming middleweight fighter has somehow lost his mark in the past year. His trademark striking and athleticism has not led him any victories and with the middleweight division being so stacked up he needs a much deserving win that will get his name back in the mix. Krzyszttof Jotko’s five fight win streak was ended when he was defeated by David Branch early this year. Jotko has good chances to pull this win against a bigger named opponent like Hall. With so many fighters on the card appearing with multiple losing streaks, looks like this event will decide the fate of many of them. It’s a loser leaves town situation for heavyweight Anthony Hamilton, Daniel Spitz and Gilbert Burns.